South African Airways is working to find ways to roll over R9.2bn of debt by March as the loss-making state-owned carrier works to make more routes profitable, Chief Executive Officer Vuyani Jarana said. While gross profit margins were negative on most routes when he started a year ago, domestic and regional routes are now making money except for Entebbe in Uganda, he said in an interview on Johannesburg-based Talk Radio 702. South African Finance Minister Tito Mboweni said last week that he favors shutting down the loss-making national airline and starting a new carrier to replace it. SAA is unlikely to attract an equity partner in its current state, and it’s doubtful the government will be able to sort it out, Mboweni said at an investment conference in New York on Thursday. Since Mboweni’s statement, the airline has experienced cancellations, Jarana said. “It is important that we get our messaging right. ”The airline, which hasn’t made a profit since 2011, will take three years to break even, Jarana said. “There are no miracles or silver bullet that will take you to a break-even point before that,” he said. SAA is now looking to review contracts. 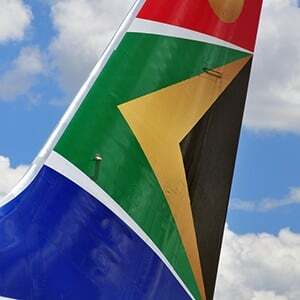 On Sunday, the Public Enterprises Ministry said SAA's Board and management had been placed on notice to urgently implement immediate interventions to ensure the turnaround of the beleaguered state-owned enterprise. In a statement, it said SAA's executive management had been tasked with "addressing the airline's cost-base, stopping all fraudulent contracts, disciplining and instituting appropriate civil and criminal actions against all persons inside and outside the business who are implicated in corruption". They also need to prepare SAA for a "strategic equity partner in the near future". Public Enterprises Minister Pravin Gordhan addressed SA staff in Johannesburg on Monday, where he said SAA needed to "clean out the dirt" in terms of corruption. He went on say that while he believes the carrier can survive, "some radical things need to be done". Gordhan told staff if nothing changes, "you'll be carrying empty seats, not passengers".